Is my money safe with BUX? I'm new to BUX. Is there a tutorial? CFD trading with real money: how do I do that? FunBUX, is that a BUX demo account? Depositing and withdrawing. How do I do that? What does the Multiplier option do? What maximum amount can I trade? What is the current value of my investment? What is the Ring Fenced amount? How does BUX handle dividends? How do I set an Auto-Close order? How do I set an Alert? What is a BUX battle? How is my return in the Battle calculated? What is and how can I create a BUX Group? What is a ✰Star Trader? What is a BUX Channel? Why can't I lose more money than I invest? Do I have to pay tax for my profits with BUX? How can I set a Stop Loss Order? Why can’t I invest my whole account value into one trade? How can I become a 'professional client' with BUX? And what does it mean? What fees do you pay with BUX? Financing Fee – what’s the cost of using a Multiplier? How do you set the price of a certain stock or index? What is the Currency Effect from my trade? Why are some products priced differently? What are the phone requirements to use BUX? The BUX app looks weird on my tablet. Why? My sign up with Facebook goes wrong. What to do? My sign up with email goes wrong. What to do? How was the valuation calculated? What fees does Seedrs charge investors? 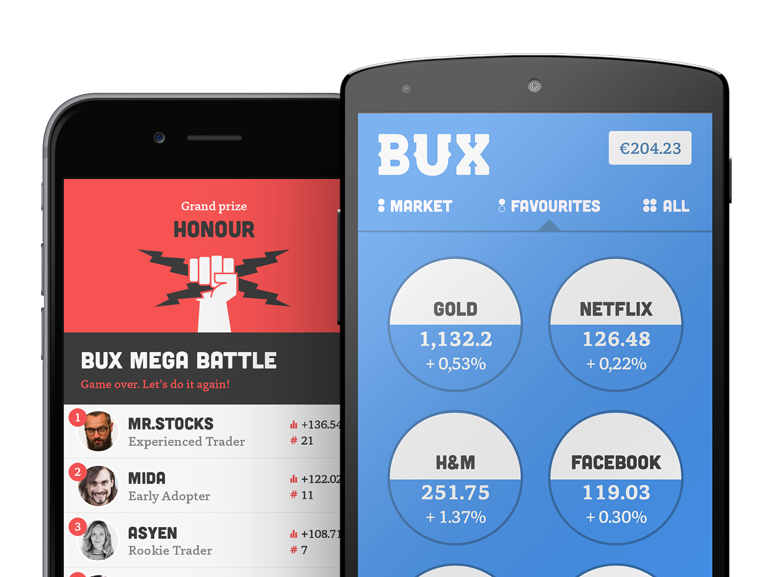 What is the difference between the Stocks app and the existing BUX app? When will the new app be launched? How does the BUX STOCKS free share campaign work? Where do I sign up for the free share? I signed up to the waiting list but haven’t received a share yet.